In order to create professional videos for Vimeo you will need to start out with at least the basic tools for editing. Read on to find out different ways to use the best video editor for Vimeo to edit from a number of devices including mobiles, tablets and PC’s. You don’t have to be tech savvy to follow the simple instructions below to access countless effects and filters for professionalism. Wondershare Filmora is great for novices that want to make their videos look professional through editing the finished product. 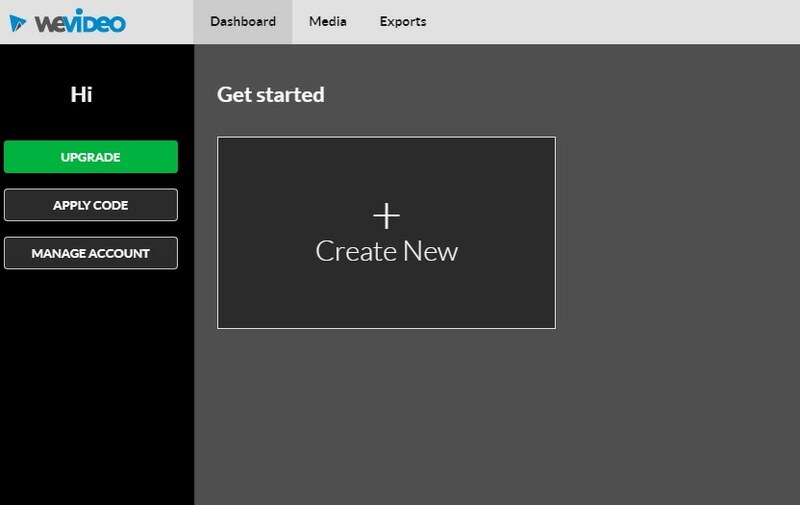 It can be used on both Windows and Mac devices and is simple enough to use for all video makers. There are a number of effects that can be added without being a professional yet creating the effects of one. Whether you want to trim out parts you don’t want in the final edit, add text, captions or more then check out Filmora to see how it can help you to achieve your goals and make you stand out over the millions of other videos on the internet. If you are looking for the best video editor for Vimeo to use on your iPhone or iPad then Cameo is a great choice. It’s free to download and you can pretty much edit anywhere with just your phone and Cameo as your tools. You are able to combine numerous clips from your phones camera roll to enable the editing mode. You can then trim as well as splice with ease. The professionalism comes from the video filters and you can even add themes and soundtracks to suit your video. The only problem with Cameo is that it is only available on iOS devices so android users will have to use an alternative. You may also like: Vimeo Cameo Review-Video Editor & Movie Maker for iPhone . 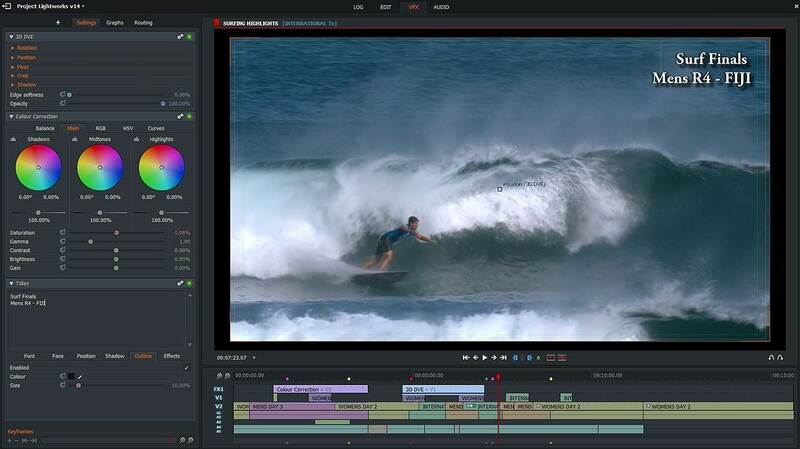 The first of the best video editor for Filmora without having to pay is Kizoa. You are able to cut your video clips, add intros and outros with numerous professional pre made effects and even add a soundtrack to your films and picture slideshows. It’s simple to use and cloud based making it ideal for editing anywhere you have access to the internet, however it does only allow for 10 second videos using a free account, 1GB of data and you will need to download a player should you wish to burn the videos onto DVD. If you only wish to find the best video editor for Filmora for short videos then it’s ideal as you can edit, store, share and access a lot of effects to make your clips look professional. For longer videos another editor would be better suited. More and more people are using the cloud on the internet from backups to project managing and edits. What can make editors in the cloud difficult to use is the time it can take to upload videos as most people face the upload connections being slower than downloads. With WeVideo you can use cloud based storage which allows for seamless uploading and of course save space on your hard drive. 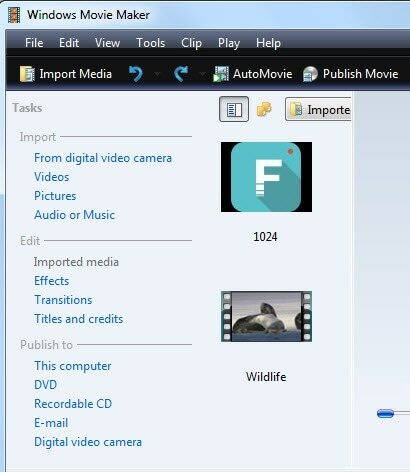 You can use your mobile devices and PC’s to upload your videos automatically to the cloud. You will then be able to drag them into the editor without delay and best of all, easily. It’s so easy to edit your videos with WeVideo whether you want to trim or add transitions. There are also lots of soundtracks for you to add to your videos and you can even fade the audio in and out for a professional effect. You can even get friends to upload their videos if you wish and add them to your own footage making collaboration easy. As a free user you will only be able to export 480p videos and they are watermarked. This is unfortunately not upfront and only shows once you have completed your edit. It is however easy enough to connect to the most popular video services making it easier to share. Reas also: WeVideo: Easily Create Videos Online . On your search for the best video editor for Filmora for PC without paying for software you will more than likely come across a number of different types of software and be a loss as to which one to choose. When looking for a free editor be aware than many free versions have limitations which is why we have listed our favourites below. Lightworks made our list of best video editor for Filmora because it has a free option and can be used on Windows, Mac and Linux. Users are able to try out the free version and upgrade if they wish to access more functions and it is able to support professional level edits so it can grow with you. 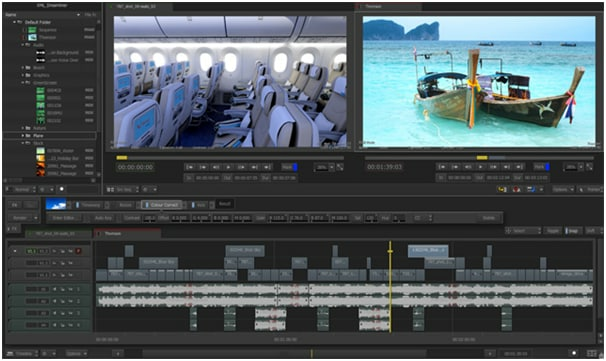 The Lightworks editor was designed by professionals yet has been created for ease of use for people without the expertise to use a more complex software. With the latest release of Lightworks the professional version has increased in price and is no longer subscription based but for one off payments only. This can put it out of the reach of people that only use it occasionally. There’s no extra help and the hints are pretty basic so those that are not used to editing may struggle to use Lightworks. There are also only a few effects that can be used for editing audio which might be off-putting. Shotcut has a lot of support for numerous formats of audio and video formats and is constantly being developed to add new features to the list. There are a lot of video filters which is great for those that want a professional video without having the expertise. Shotcut can be used on Linux, Windows and Mac devices making it versatile and you don’t have to import media as it has native editing capabilities. There is the option to customise the filters to suit your needs rather than having to settle for just the template settings. Unfortunately, still being in development there are a few bugs that need fixing including the fact that it can crash occasionally, although this has been improved with the latest updates. For this reason it’s important to save the project as you go so you don’t lose your editing work. There’s no filter for keyframe at the moment, however this is something they will be adding in the future. The reason why Avidemux is one of the best video editor for Vimeo is the fact that it is so powerful. It’s simple to use but it can take a while to get used to the layout which could put off someone who is new to editing altogether. You can however create videos that look professional in seconds once you learn how to use it, exchange the format and much more. Users have access to a lot of filters, options for decoding and customise scripts, but learn bit by bit to avoid getting error messages from straying too far from the default settings. If you want a powerful editor that gives you more options than many others then Avidemux is a great choice, but don’t forget to learn the menu and familiarise yourself with the software to avoid errors later down the line. How to Use Avidemux to Edit Videos . How to Crop a Video with Avidemux . How to add text/subtitles with Avidemux? . If you are looking for a video editor for free then the FilmoraGo free version is a great place to start. The software is powerful and has numerous settings to help you to edit your videos to make them look professional giving novices access to edits that would have previously only been available for pro’s who can afford the expensive alternative software. It’s simple to add your videos to edit using a drag and drop function and has support for text, titles, animated text and music. IT also has an array of filters and overlays. Over 100 effects can be incorporated and you can slow down and speed up your videos for added effect. It can be used on both apple and android devices allowing you to edit and upload your videos faster than ever before. The Magisto free video editor allows you to change any photo or video into a music video that can be shared on social networking sites, email and more. Magisto is aimed at novices to give them a way to create videos that look professional by either turning a few stills into a slideshow to music or altering a video. It’s fun and easy to use, so much so that it has been used in many classroom projects thanks to the automated video production functions. The free version is more of a way to give you a demonstration than being a standalone free editor and you do have to pay the subscription price to be able to access more functions as the production lengths are limited. The automated editing can be off-putting for those looking for the best video editor for Vimeo above a novice level due to the automation, but is perfect for those just finding their feet. 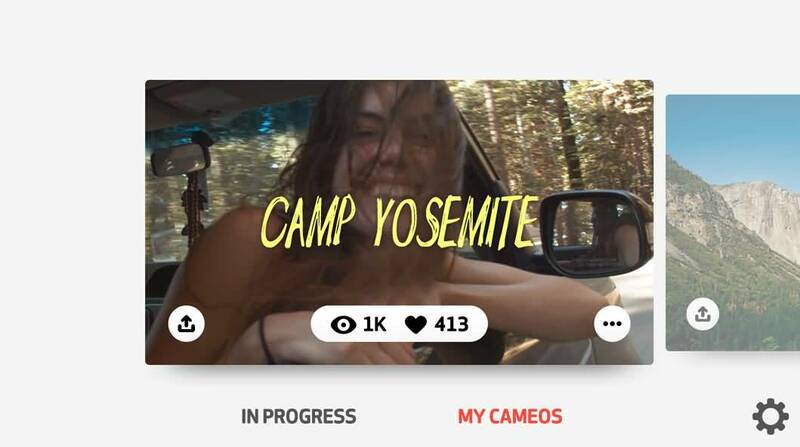 One of the best video editor for Vimeo is Quick by GoPro thanks to the fact it has been created to work well for those that want a fast way to edit yet have professionalism in the final cuts. It’s not difficult to set up but it does require 112MB of space and QuickTime to function. For people with a slow connection to the internet or little space on their hard drive this could prove problematic. For new users there is a tutorial to help them find their way around and lots of control over editing including exposure and white balance. There are also numerous pre-set filters to get a professional look whether it’s your first or 1000th time of video editing. Although a great product it does still have a few bugs that need ironing out including the fact that it can crash for seemingly no reason. Aside from this there are numerous functions that would rival quite a few paid editors.